Google and Foxconn's robotics businesses are intersecting in a partnership. Google’s work with Foxconn will help the former develop operating systems for robots and the latter automate manufacturing processes. Apple’s longtime manufacturing partner Foxconn, which assembles most iPhones and iPads, has been fooling around with someone else: Google. It’s not what you think, though. They’re in it for the robots. Foxconn has been looking to automate portions of its factories because of rising labor costs and because the company has low sales per employee, analyst Wanli Wang told the Wallstreet Journal. Additionally, Foxconn employs more than a million people but doesn’t have a very good track record when it comes to addressing workers’ rights, mental health, and safety concerns. Automating some of the more tedious work could alleviate some of these problems. On the other side, Google is reportedly looking for a testing ground for a robot operating system the company is developing for manufacturing. 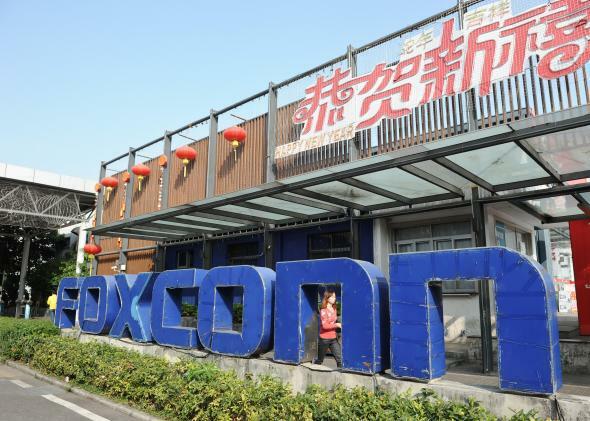 This makes Foxconn a perfect partner as both companies want to build out this segment. Sources told the Wall Street Journal that Foxconn executives like Chairman Terry Gou have been meeting with Google’s head of robotics, Andy Rubin, since last year to work on a plan. Google has taken numerous steps to grow its robotics division, including the purchase of Boston Dynamics in December. Improving electronics assembly would not only help Foxconn, but could also aid Google in churning out new devices. For example, automating the process of building complex robots would lower their cost and could broaden their prevalence. Robots building robots! It’s unclear how Google’s partnership with Foxconn will help or hurt Apple down the line, if at all. Apple could benefit if Foxconn improves their assembly lines through automation, but may lose some of their sway at Foxconn if Google becomes an important partner to the Taiwanese company.